Simple, no-bake recipe with pretty results. 1) In a bowl, combine crumbled shortbread with the melted butter. Using a fork, incorporate the butter with the shortbread until it is well blended. Press into the base and sides of a pie plate/tart pan. Refrigerate while you prepare the rest of the ingredients. 2) In the bowl of a standing mixer fitted with the whisk attachment, combine the yogurt, cream cheese, confectioner’s sugar, half the lemon zest, and vanilla extract. Whisk at medium speed until even and smooth. 3) Spoon the cream filling into the center of the crust and spread it out evenly using the back of a spoon. 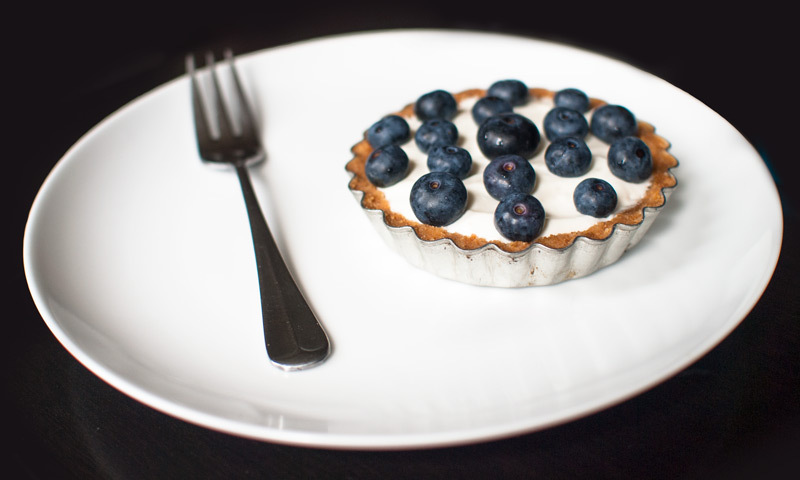 4) Arrange the blueberries in a concentric circle on top of the cream filling. 5) Serve at once or refrigerate until ready to eat. Can also be made into 3-4 mini tarts. 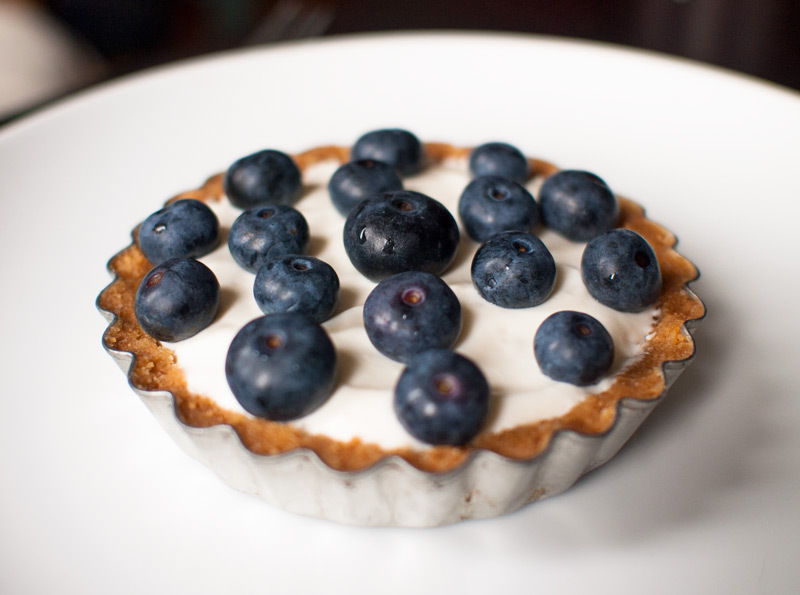 This entry was posted in Blog, Uncategorized and tagged blueberry, cream, lemon, Shortbread, tart, vanilla.